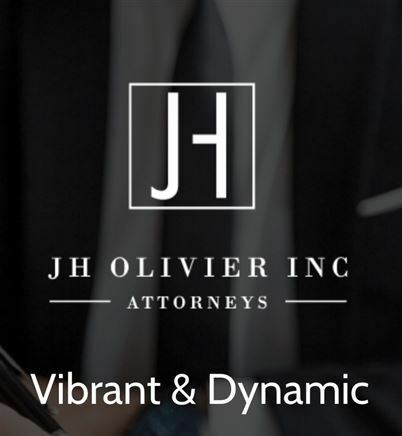 JH Olivier Inc Attorneys is a dynamic law firm situated in Gauteng. We offer a variety of legal services to all our clients' specific needs. We handle each matter, big or small, with the greatest attention to detail. We have jurisdiction in Benoni, Boksburg, Kempton Park, Daveton, Tembisa and Brakpan.